Nose: Fruit lolllies, packham pears, desert spices, vanilla bean, slight hints of fresh coconut. A little bit all over the place, and a small amount of fresh spirit at the back of the nose – surprising given the age of the whisky. Palate: Candied lemon, poached pears, coconut cream with vanilla essence, traces of milk arrowroot biscuits and mandarin peel, and hints of cinnamon and cloves. Quite solid, and well balanced – much more so than the nose. Mouthfeel: A little warm, but no burn. Reasonably thick, and quite dry – heading towards creamy. Finish: A long finish on this one. Sweet pears and desert spices hang around for quite a while. My mouth just keeps watering after drinking this. This is the second release of a 1992 vintage by The Glenrothes, and is a decade older than it’s previously released sibling, which has allowed the whisky to settle a bit, and gain a smoother character than the first edition. I tasted the first edition quite some time ago, but unfortunately never wrote any tasting notes for it – I do remember it being quite fruity, and having a bit more of a youthful punch than the second edition. If I recall correctly, the first edition also had a bit of spice and oakyness to it as well – it wasn’t a bad whisky, in fact I quite liked it, but the whisky that makes up the second release has benefited from the extra decade slumbering in its oak barrels. If you’re not familiar with The Glenrothes, it’s sort of a partnership between Berry Bros & Rudd and Edrington – with Edrington owning the physical distillery, and BBR owning the brand and the whisky. If you’re interested, I had a squiz at the history and ownership in my review of the 1998 vintage – although it is a little convoluted, and will possibly remain as clear as mud. The second edition of the 1992 vintage has been aged in both refill sherry butts, and American hogsheads. It has been bottled at 44.3% ABV, is un-chill filtered, and has no added colouring. The Glenrothes claim that the higher ABV gives it a richer character than the first edition, which was the same 43% that most of The Glenrothes range is – although how much of a difference the extra 1.3% makes is anybody’s guess. 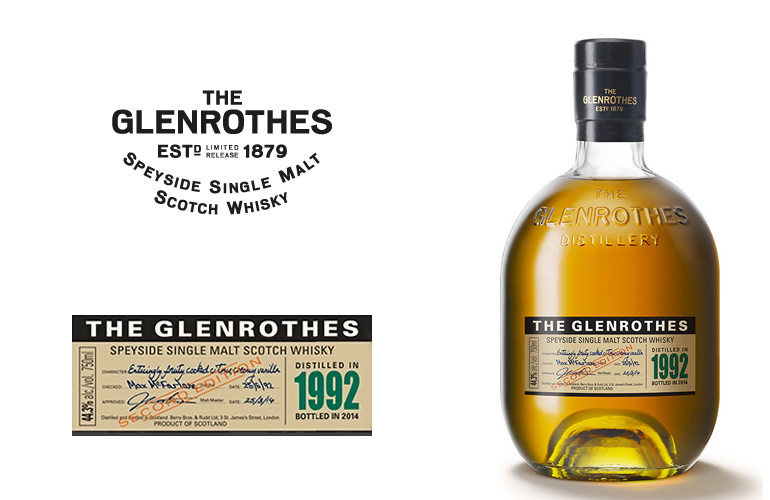 Unlike the 1998 vintage that I reviewed earlier, this second release 1992 vintage is much more ‘Glenrothes’ – with lots more fruits, especially citrus, on the palate. The nose is a bit untidy, but the palate, mouthfeel, and finish more than make up for it. This is a fairly well aged vintage for a Glenrothes from recent years, and it shows with a creamier and more sedate – but by no means weaker – character compared to other recent bottlings. This is quite a tasty whisky, well worth finding a dram of it if you haven’t already tried it.